Episode 68 features Lisa Bennett, who hails from Wichita, Kansas. Lisa is 29 years old and graduated from Wichita State University in 2010. She is currently in her Clinical Fellowship Year as a SLP in the Emporia-area. She works in the public school coop there. Lisa and I had “met” online through one of the stuttering email chat groups several years ago. We met in person at the 2009 NSA conference in Scottsdale, AZ. I didn’t realize that Lisa had attended the first workshop I ever did at NSA, back in 2008 in New Jersey. Lisa mentions that she remembers some things I had said during that workshop, “Letting It All Hang Out: Being REAL With Our Stuttering.” My friend Mary and I had co-facilitated that workshop, which examined some parallels between The Velveteen Rabbit and stuttering. Needless to say, I was thrilled to learn that it had an impact on Lisa. Listen in as we discuss covert stuttering and how Lisa landed in the job that she thought most unlikely – working as a SLP in the schools. We also discuss how stuttering can dictate decision-making, speech therapy experiences, authenticity and acceptance. Lisa was nervous during this conversation, and I assured her she had no reason to be! Please, leave feedback for Lisa and let her know what a great job she did. Feedback is a gift. 8 Responses to "If You Only Knew – Episode 68"
Hi Lisa, I loved your talk – I think you (and Pam) are amazing and help so many women out there. I did a course here in Dublin, Ireland 4 years ago and I have never looked back! It (the course) taught me how to be comfortable with myself and my stuttering and not to be afraid anymore – I like you and Pam used to hate my stutter too and blamed any failings I had as a person on it which is a bit mad! 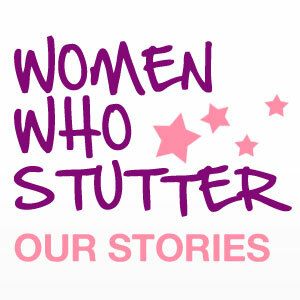 I have spoken at the NSAD (National Stuttering Awareness Day in Dublin in 2009 and it was amazing – so liberating and I felt like I could take on the world 🙂 I actually got a job as a legal secretary about 3 months after I completed the course (something too which I never thought I would do). I had wanted to be a legal secretary but having a stammer I felt was holding me back. I have learned since (from age, experience and knowledge of myself and stammering) that stammering doesn’t hold you back – its not believing in yourself that does that. We need to be brave as people who stammer – a damn sight braver than those who don’t – its an up hill struggle some days. That’s why its so important for podcasts like this one to be open to the public so that we can all share our experiences. I think every stammerer thinks that they are alone in their stammering – I know I used to. I feel so fortunate know to have the experiences I have had in my life. Thanks Pam and Lisa for being so honest and helping so many people. Thanks for the great comments and welcome to this podcast/blog. So glad you found it, listened and took time to leave comments. How did you find it by the way? Sounds like you have made incredible strides on your own journey, and sounds like you have a story of your own to share. I am glad you find this useful – and I do hope that non-stutterers listen occasionally too. That really is my hope – that one day people will see and realize that we ALL have a voice, no matter how unique it is, that needs to be heard. I want the public to know we have a voice. I am so glad you shared your own insights. If you’d be interested in sharing further and being a guest, let me know. I’d love it! Pam, I would love to be involved in one of your podcasts – that would be cool! 🙂 How do we do that?? Let me know and sign me up! Looking forward to listening to your next podcast. Lisa: It was a brilliant surprise to come across your interview tonight. I very much enjoyed listening to it. From our contact years ago, I’ve always wondered how you were getting on. Congratulations on realising your dream … I’m sure that it required alot of hard work and determination, and I’m equally sure that you make a great SLP! I’m just so pleased to hear of your success – I expect that you will make a positive difference to the lives of many people.